I mentioned earlier that I didn’t have a lot of time to see all the sites when I was in Bath. 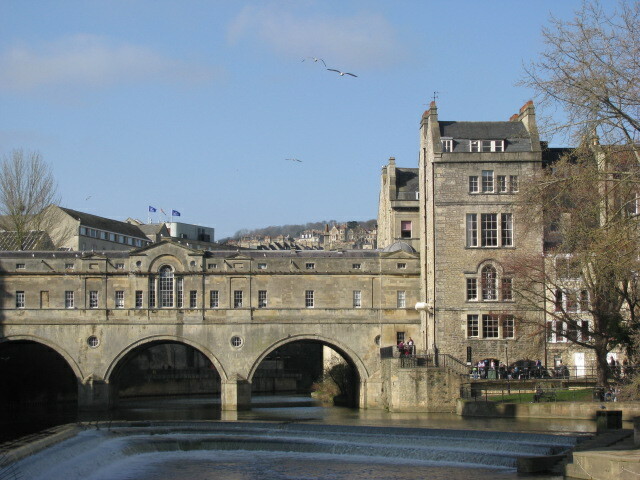 I was able to view the Pulteney Bridge, however I was not able to experience it. 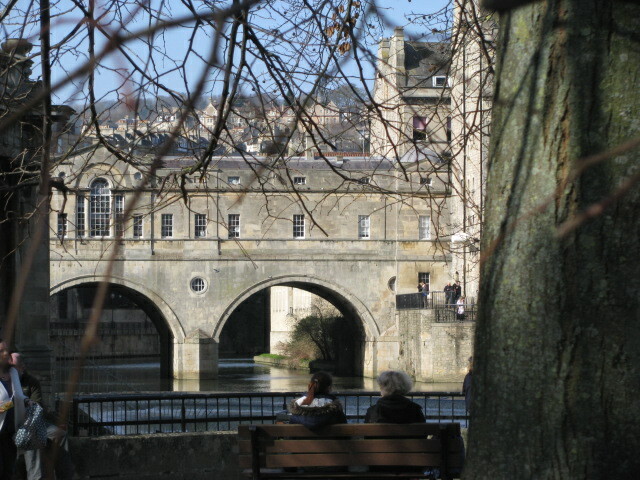 This bridge, which spans the River Avon, was finished in 1773. 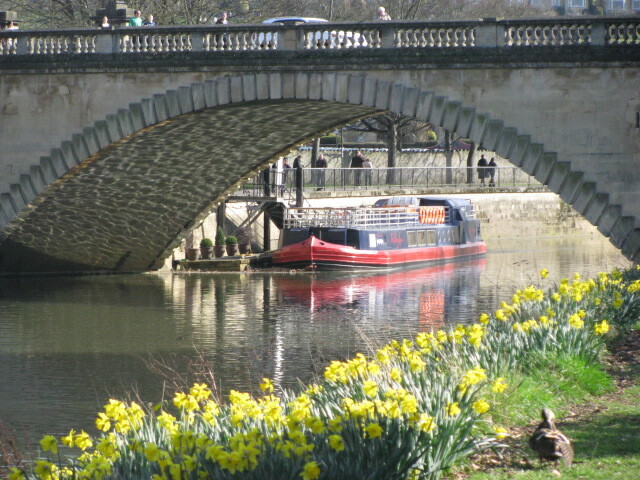 Robert Adam designed it and it is one of four bridges in the world that has shops on both sides along the bridge. 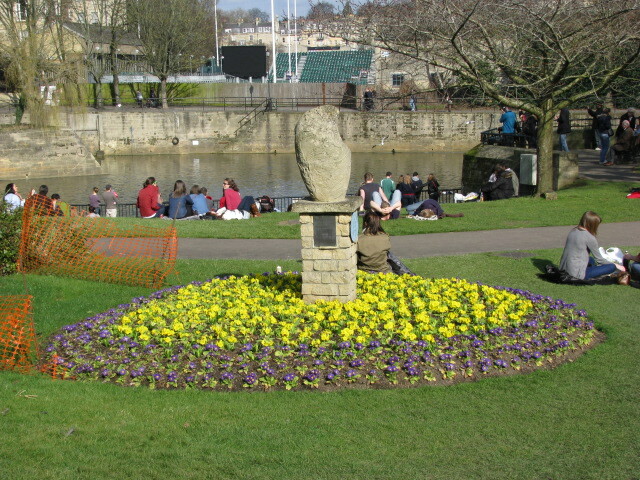 It was named after Frances Pulteney, an heiress. Next time I visit Bath I want to wander through the stores and take more time to enjoy this wonderful structure. Not the Pulteney Bridge, but I still liked it. 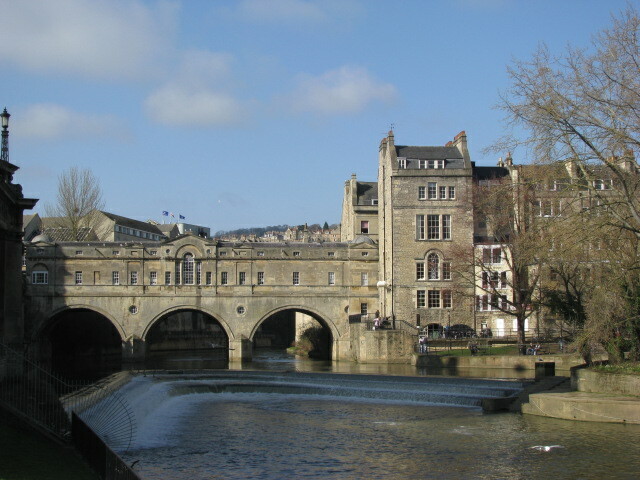 This entry was posted in Travel and tagged Bath, Bridges, England, Frances Pulteney, Photography, Photos, Pulteney Bridge, River Avon, Robert Adam, Travel, Travel Blog, Travel Photo, Travel Photos. Bookmark the permalink. Bath is my favourite city – (I even lookd a real estate once. Boy, I’m sooo naive… Never ever have I seen such expensive houses in my life. End of mundane comment. 🙂 ). It’s a gorgeous city, I stayed in the street in which they filmed Vanity Fair. I love this bridge as well but the place I like best is the Royal Crescent. I love when I learn things from reading people’s blogs! I have never heard of a bridge with shops along the sides of it. What a concept. What I really love about this bridge is how strong and substantial it is. I think it’s beautiful! I will have to show this to my son so he keeps an eye out for it when he visits Bath in May. I hope to travel the world a whole lot more after following your travels! 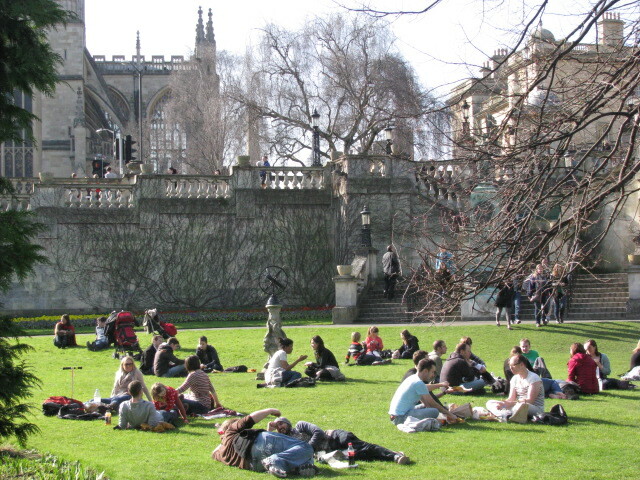 I love Bath! We didn’t have time to experience the bridge either, so I have to go back. Gorgeous photos! I love Bath. Beautiful shots! I hope you get to return for more sightseeing and some shopping. I am so going to Bath!!! I love the image of the people lounging around under the sun – you hardly ever see anything like that in busy busy Singapore. There’s just never enough time, is there?